Integral Coach Factory is a premier Production Unit of Indian Railways manufacturing railway passenger coaches. ICF is versatile in manufacturing coaches for main line, suburban, metro, self propelled, luxury, special purpose coaches like Emission Test Car, accident relief train etc. ICF is World's No.1 coach manufacturer in terms of quantity and varieties of coaches made so far with over 55000 coaches in more than 500 variants passing through the portals of ICF. ICF's USP covers design, development, manufacture and design validation of various types of coaches for Indian Railways, non-Railway customers and for export. Today, the coach factory produces more than 2500 coaches of more than 50 variants in a year. ICF has started manufacturing stainless steel coaches in a big way. 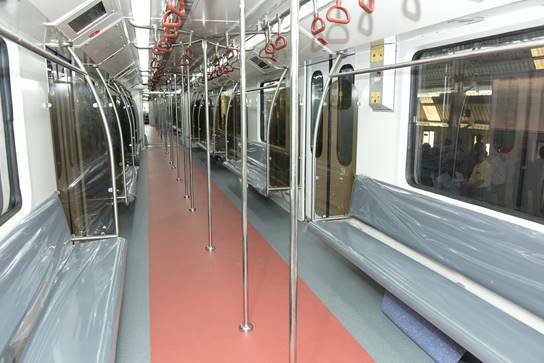 Coaches for Kolkata Metro, DEMU and EMU train sets are also made out of stainless steel. ICF has also been foraying into exports and adoption of cutting edge technology. ICF has exported large number of coaches to Afro-Asian countries, including Diesel Electrical Multiple Units recently to Srilanka. Self propelled Diesel Train sets and Electric Train sets with 3-phase state-of-the-art technology are currently under manufacture. Development of high speed Train sets (Nicknamed Train-18) are also on hand.